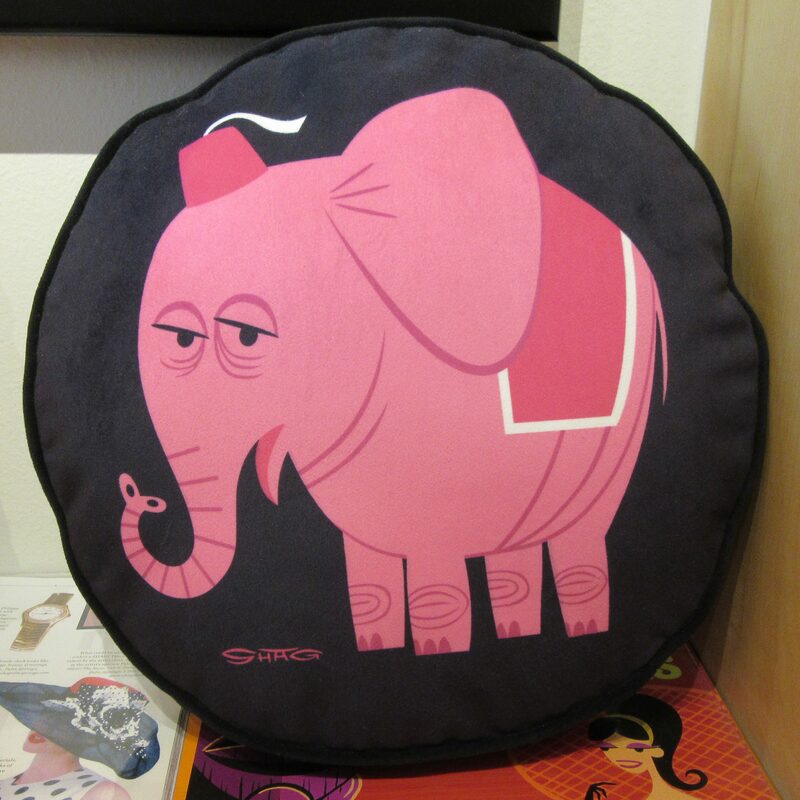 Pink Thing of The Day: Pink Elephant Throw Pillow By SHAG! If you dig the Tiki Bar Culture-inspired art by the artist known as SHAG (AKA Josh Agle) and you happen to live in or near Palm Springs or Los Angeles, California, then you are in luck! Those who wish to fill their homes with Shagadadelic accessories bearing the way-groovy designs of SHAG can visit the The SHAG Store to purchase original, limited-edition prints as well as lamps, cocktail glasses, handbags, jewelry and throw pillows, among other goodies! This Pink Elephant Throw Pillow measures 16-inches in diameter, with a Fez-adorned Pink Elephant on the front and a solid black fabric back. Contact the store to see if it’s in stock, or can be purchased online!